We seek a Customer Relationship Specialist / Sales Setter to further the company's vision of transforming people's lives through books and media. We assist business leaders, entrepreneurs and visionary authors in writing and publishing books. The sales setter will be offering online products, events and services to professionals who want to become authors. You will meet prospective authors through incoming warm leads, outbound calls, online webinars, and networking connections. You will also have the opportunity to meet prospects at occasional live events, but most of the work will be done from your home office. You enjoy meeting people (virtually) and guiding them. You are warm, friendly, personable and professional. You have high integrity and can hold a supportive and welcoming space for sales prospects. You have the ability to empathize with prospects where they are, while holding a vision of where they can grow to be. You enjoy sharing possibilities and assisting prospects to make buying choices that best support their goals. You are a self-starter, independent and motivated. At the same time, you can work with a team and support sales professionals in closing sales. You enjoy sales and earning commission through your efforts. Our sales trainers are top industry professionals, who have worked on highly successful marketing and sales campaigns. You will enjoy training and feedback, while growing with your team. This starts as a sales setter position. Depending on your skills and motivation, you will have the opportunity to move into a sales closing position, as early as three months in the position. Work from your home office. Occasional travel opportunities. Base salary plus commission, and the opportunity to build a long-term career. Start as part-time, with opportunities to grow to full-time positions. 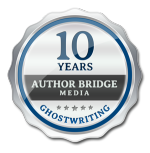 Please send a cover letter and resume to human-resources@authorbridgemedia.com.